Spännande och coola spionkalas på engelska från Spy:Co Barnkalas! Spy party in sweden - in english! in English or in Swedish! guaranteed to be a success! 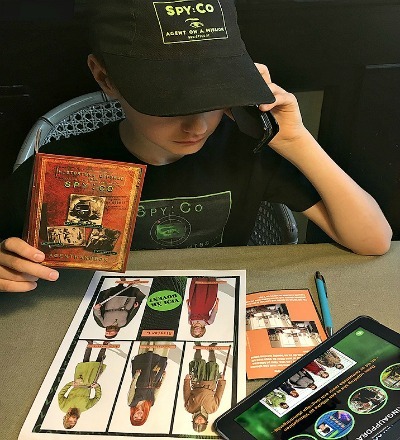 The most thrilling, unique and educational spy party for both girls and boys between 6 and 11 years old. Live contact during the spy party with Octagon - Head of Spy:Co! Available all over the UK and Sweden. • Live contact with Octagon - Head of all Spy:Co agents! You can have the birthday party at home, in the garden, in a park, in a private venue or just in the neighborhood where you live - easy! You also have the possibility to print out and use Spy:Co's designed Spy party invitation! After the Spy Party, a "Spy:Co Diploma" can be printed out and given to all new agents!